Pop popcorn in an air popper or Whirly Pop and transfer to a very large bowl. In a large saucepan, over medium heat, melt butter, brown sugar, corn syrup and salt. While stirring constantly, bring the mixture to boil, and be sure the melted butter is fully incorporated into the sugar mixture. Once the mixture reaches a boil, stop stirring and let it boil, untouched, for approximately 4 minutes. Remove the mixture from the heat and briskly stir in the baking soda and vanilla. The caramel will transform in color and consistency from dark and syrupy to light and somewhat fluffy. Pour half of the mixture over the popcorn and stir. Pour the remaining half of the mixture over the popcorn and mix thoroughly until all the popcorn is completely coated. Divide the popcorn into 2 9×13 inch glass pans. 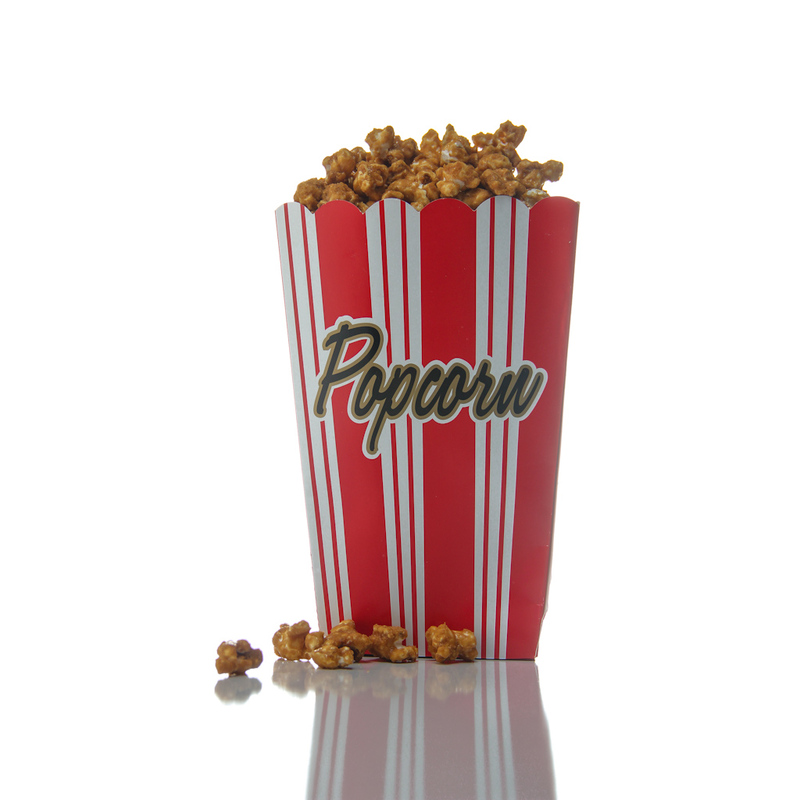 Bake the popcorn in the preheated oven at 15 minute intervals for 1 hour. After each 15 minute interval, stir the caramel corn. After the caramel corn cooks for 1 hour, remove both pans from the oven and stir frequently as it cools. Transfer the caramel corn to a large clean bowl to continue cooling. Make sure you stir the caramel corn frequently as it cools to prevent it from clumping.